At Dream Dental, the absolute LAST thing Dr. Haren Patel ever wants to do is remove a patient’s tooth, but sometimes, it’s simply the best thing he can do for their oral and overall health. In these situations, Dr. Patel uses his expert touch and a generous amount of local anesthesia to make sure a patient, no matter their age, is always comfortable from beginning to end. There are two main types of extractions we perform here at Dream Dental: simple and surgical. A simple extraction is performed on a tooth that has already erupted into the mouth. 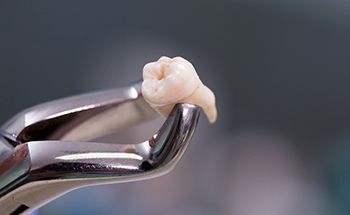 For this, after numbing the area, Dr. Patel will grip the tooth with a pair of dental forceps and gently rock it back and forth until it slips out on its own. That’s right-- we never actually “pull” teeth here! Using this approach, most patients don’t even feel it when their tooth comes out! A surgical extraction is necessary when a tooth has extensive decay or broken under the gum or difficult to remove with simple extraction procedure. 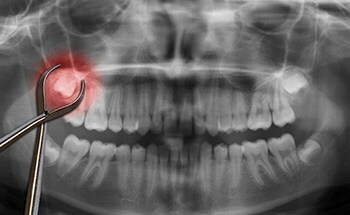 Surgical extraction procedure might require opening of gums, removal of bone and sectioning of tooth and suture placement. Sometimes it is necessary to see an oral and maxillofacial surgeon for such procedures including extractions of wisdom teeth. We work with local oral surgeons and can refer you to one if needed. After an extraction, a patient may experience a little soreness, bleeding, or swelling, but they definitely won’t be in pain. Post op care and prescription may require depending on the procedure. After extraction, we can quickly work with a patient to help them choose an appropriate replacement. To learn more about extractions and if you might need one, please contact us today.